Re-introducing Tins (6 oz.) 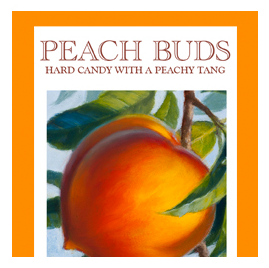 – sweet and spicy: Travel back on memory lane and get our traditional tins available with our signature Peach Buds, Old Fashioned Holiday Candy and our new and slightly spicy Ginger. Gift Sets (3 oz. / 7 oz. ): A treat for anyone on your Merry List! Our 4-pack of 3 oz. 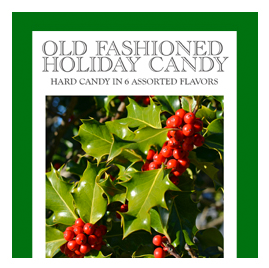 sizes includes our traditional Holiday Candy plus Peach Buds, Key Lime Buds and Cherry Buds. 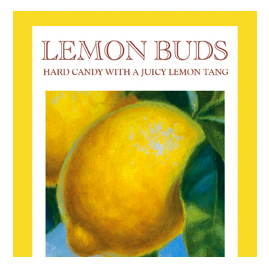 For the true Hard Candy lovers! 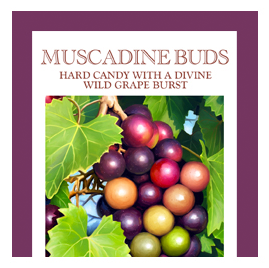 Our 3-pack of 7 oz. 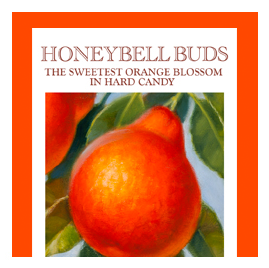 sizes includes our famous Peach Buds, Lemon Buds and Honeybell Buds. We like to refer to them as Cha Cha Cherry Buds cause they will make your tongue dance with delight! 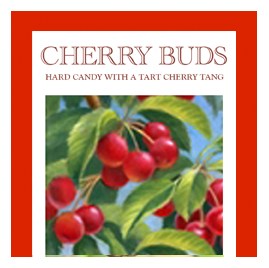 Their beautiful ruby color and tart cherry flavor will remind you of Mom’s cherry pie. Let them light up your mouth like fireworks on the 4th of July. This is true cherry cheekiness. Come dance the Cherry Bud Cha Cha with us! 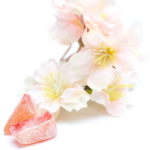 Butterfields Peach Hard Candy “Buds” are our signature flavor today as it was in 1924. Our philosophy? If it ain’t broke, don’t fix it. For the past 88 years, our customers have been enjoying this delicious flavor combination of fresh peach nectar and sublime coconut. A match made in paradise heaven. No matter where you are located, the island lifestyle is at your fingertips! 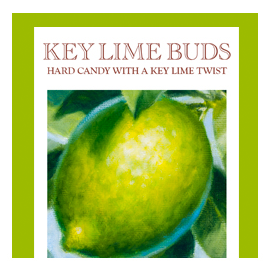 We’ve created the perfect tropical flavor creation with our Key Lime bud infused with a sliver of coconut. Close your eyes while you enjoy a Key Lime Bud and you will begin to hear soft whispers of steel drums and ocean waves…. It all started with a great idea and a little hard work. Today Butterfields Candy is proud to provide quality products direct to your doorstep through an experience you'll enjoy. 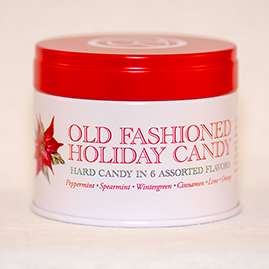 And most of all, we hope you'll enjoy Butterfields Candy as much as we do. Call or email us today to let us know what you think. We'd love to hear from you! Copyright © 2019 Butterfields Candy - All Rights Reserved.